Kirk Cousins threw for 365 yards and three touchdowns, Chris Thompson had 188 all-purpose yards and a score and the Redskins sacked Derek Carr four times, forced two turnovers and held the Raiders to 128 yards in a dominating 27-10 victory on Sunday night. 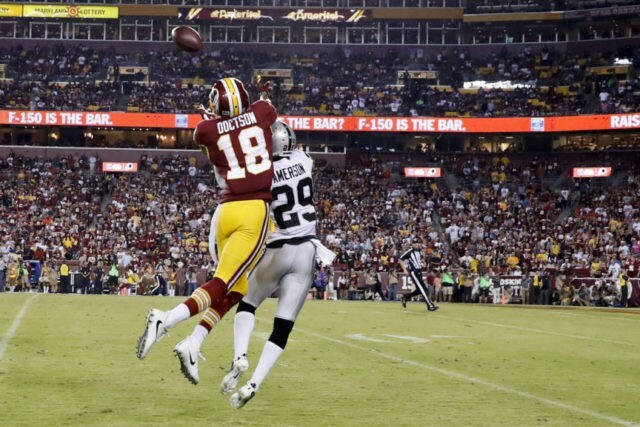 The Redskins’ defensive front dominated the Raiders’ offensive line for much of the games. Preston Smith and Ryan Kerrigan each had a solo sack and rookie Jonathan Allen was in on two — with Junior Galette and Matt Ioannidis.